In a large stainless steel bowl combine the citrus juices and salt. Taste the liquid to ensure it has the right flavour then gently mix in the onion, tomato, jalapeno, chilli pepper, coriander, olive oil and pepper. Slice the flathead into 1 cm thick strips and place in the citrus mixture and chill ceviche 5 minutes in the refrigerator until the fish is opaque. Meanwhile in a hot frypan, place the halved potatoes and anoint them with a little vegetable oil and fry until crisp. 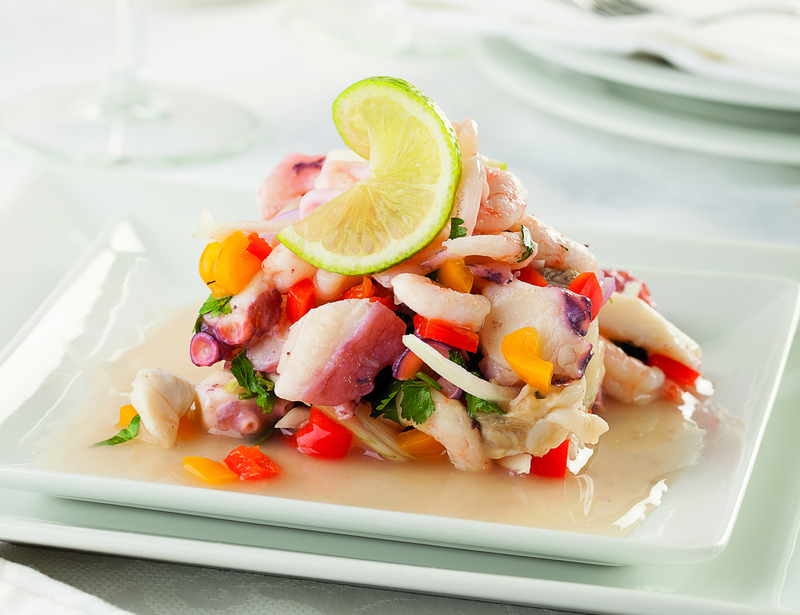 Place the avocado and cucumber ribbons on top, followed by the drained white fish ceviche. Serve immediately.